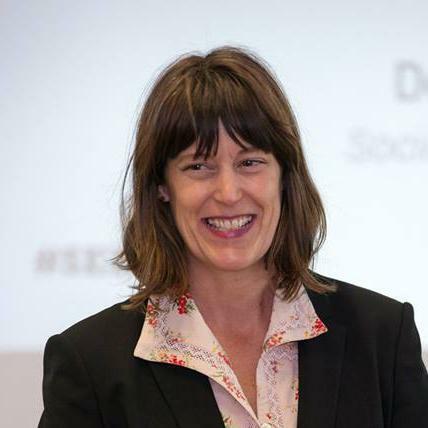 Cork Chamber’s first Business Breakfast of 2019 will feature keynote speaker Deirdre Mortell, CEO of Social Innovation Fund Ireland (SIFI). The mission of SIFI is to find, and back, innovative solutions to critical social issues in Ireland, supporting some of the best non-profits, charities and social enterprises who will benefit from their crucial work. To date SIFI have backed over 80 social innovations around Ireland with over €14m in philanthropic funding. As companies increasingly recognise the importance of aligning their business models with strategic CSR opportunities and partnerships, this event will discuss what we mean by social innovation, and how the Cork business community can support initiatives that are providing tangible and effective solutions to critical societal issues. The event will feature a panel of representatives from business and social enterprises who will tell their stories and thereby demonstrate the power and impact of supporting social enterprise. As part of Cork Chamber’s 200-year celebrations, we have launched a legacy initiative (Cork Chamber 1819 Fund) in partnership with Social Innovation Fund Ireland, with the aim of raising €200k in six months. The money raised will help to fund a number of social innovation projects in the Cork region. This breakfast event will also provide an opportunity for social enterprises to learn more about the application process for SIFI funding. Deirdre has twenty years’ experience of changing the world one step at a time, sometimes by leading and other times as part of a team in some of Ireland’s leading non-profit organisations. Deirdre was previously CEO of ONE Foundation and held senior roles in fundraising & communications with Oxfam and Barnardos. She has also held multiple board directorships. Uniting all this is Deirdre’s passion for social change, globally and locally, and a strong belief in the power of philanthropy and the ordinary citizen to change things – often faster than we think. John is the founder of ICRR, a network of first responders providing emergency medical care to patients in remote areas. This project provides professional pre-hospital A&E care directly at the site of emergencies throughout Ireland. Since 2008, ICRR has developed a network of volunteer medical professionals throughout Ireland who can be called on to deliver critical A&E intervention within “the golden hour,” meaning the time period during which there is the highest likelihood that prompt medical treatment will prevent serious injury or death. A freelance writer, bestselling author, broadcaster and social entrepreneur, Michael brings people from local areas together to showcase their skills, interests and talents from growing to sewing, baking to knitting, wood turning to jam making. The GIY Cottage Market relies on the fact that markets have been at the heart of communities for centuries. Their solution provides opportunities for people in both urban and rural communities to trade and socialise in public and private spaces. Aspire 2 was initiated in 2015 as part of the DPS Corporate Social Responsibility strategy. Its vision is to motivate and assist educationally disadvantaged students in partner schools to realise and believe in their true potential, to improve and complete a successful leaving Certificate, and ultimately progress to Further and Higher Education. Six schools presently participate in Aspire 2, three in Cork and three in Dublin, and very positive results have been achieved to date. The strategic plan of the Aspire 2 team is to broaden its scope in terms of the number of schools assisted and the range of financial and mentoring assistance provided by the DPS Group.